Meeting Katharine Beeman at the International Festival of Poetry of Resistance #4 in Toronto was cool. Seeing her perform was even cooler. Beeman reads with excitement and heart. She moves from side to side, raises and lowers her voice, and once your attention is grabbed she holds it from the time she starts until she finishes. 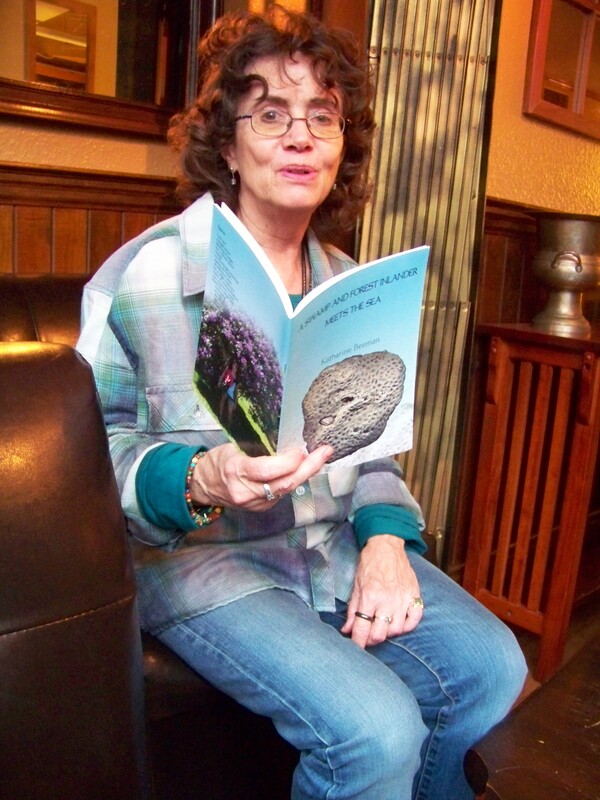 Beeman’s chapbook A Swamp and Forest Inlander Meets The Sea is awesome. Her interview with me was just as awesome. Watch, SHARE, and enjoy Katharine Beeman read her poem Quiver. poetry, song, interviews, VLOGs, workshops, readings and roundtables. This entry was posted in Uncategorized and tagged "A Swamp and Forest Inlander Meets The Sea" by Katharine Beeman, Black Coffee Poet, Cuba, Cuban 5, International Festival of Poetry of Resistance, Katharine Beeman, Montreal poet, poetry chapbook, Resistance poet. Bookmark the permalink.